The U.S. Grant Hotel, Neiman Marcus Fashion Valley and J Public Relations teamed up to host a delicious waffle brunch for a select few, including some of us San Diego Style Bloggers in their gorgeous Grant Grill. We were treated to the delicious waffle concoctions that the Grant Grill serves every Sunday (9am-2pm) where you can build your own waffle with a buffet selection of 3-4 Waffle varieties and a gourmet toppings bar with 20-25 selections! Neiman Marcus Fashion Valley set up a gorgeous display of some of the best fall shoes and handbags (Valentino, Saint Laurent, Manolo Bahnik, Balenciaga, to name a few). 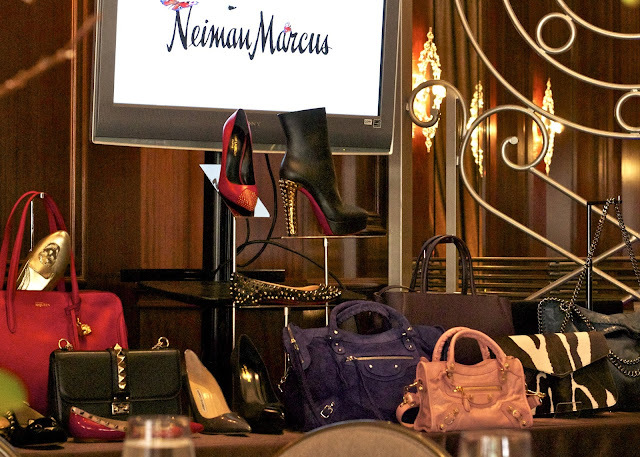 The highlight for us fashion bloggers was when Alex Yáñez, Style Advisor for Neiman Marcus Fashion Valley gave us their Fall 2013 trend report! Neiman Marcus Fashion Valley will also be hosting 2 in-store trend reports Wednesday August 14 and August 21, 2013. Contact them for details or to RSVP. 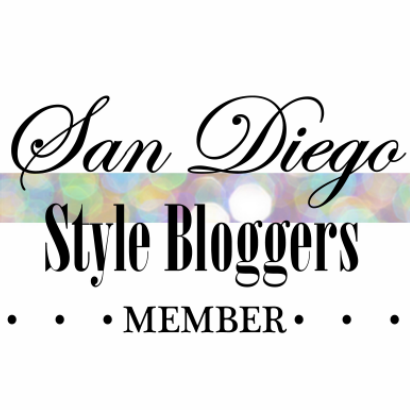 San Diego Style Bloggers in attendance: Alessandra Gonzalez, Blush Confetti, La Bella Tanchi, These Days, Dainty Jea, Sara's Sweet Style, Lil bits of Chic, Face it Catalog, Any 2nd Now, Fashion Mixtape, The Inbetween Girls, Nubry, White Tee Black Dress, Malcriada. I personally want to thank the wonderful J Public Relations team, starting with Amy and Susan who months ago I had lunch with to tell them how wonderful our blogs were. They were so receptive and intrigued by what we do as bloggers and brewed up some great ideas! I want to thank Kristen for coordinating this (it was so good to meet you in person!) 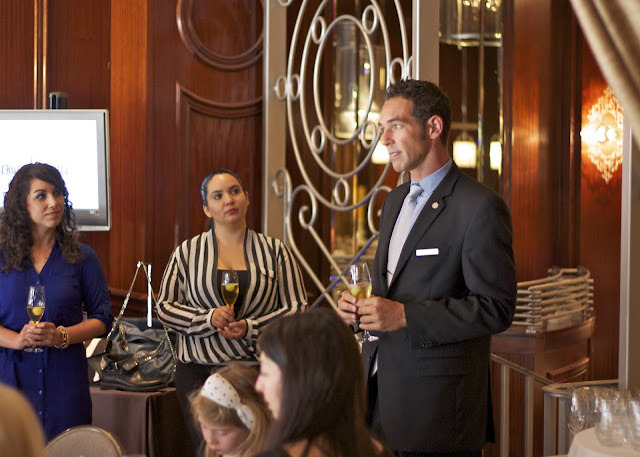 Thank you to the U.S. Grant Hotel for their amazing hospitality and generosity, Yummy Cupcakes and Neiman Marcus Fashion Valley for such an amazing presentation.